The older I get the more I wonder why people with so much always seem to want more. Alex Rodriguez had escaped the precipice of a public shaming, when he admitted before the 2009 season that he had used steroids and then put together the greatest postseason of his life to lead the Yankees to their 27th World Championship. He could have stayed off the juice after that for the rest of his career, let his performance simply decline naturally, collect his mega-millions in salary and gone off into the sunset in a few years with at least a portion of his reputation intact. But no, Rodriguez doesn’t think like that. He never has. The happiness fuel for this guy’s life is playing baseball and being adored because of how well he does it. The adoration part of that formula was whittled away by diminished performance on the field. Steroids help athletes build abnormal muscle mass but the problem is that the human skeleton is not designed to support it. A-Rod’s hips gave away and he will never again hit 30 homers in a season or drive in 100 runs. Rodriguez wasn’t ready to accept that so he did something about it. He found a sleazy Miami-based hormone lab operator who supposedly could help him continue to cheat without getting caught. Yesterday, the arbitrator’s ruling confirmed for Rodriguez that he got caught. So now in addition to never again being admired or respected for anything he does on the baseball field, A-Rod has locked his own Yankee Stadium gate, preventing himself from doing what he most loved to do, for at least a year but quite possibly forever. A-Rod is not the only culprit here. The Commissioner and the Yankee ownership knew full well that many of their players were using drugs to enhance their performances and as long as the money was rolling in because of those enhanced performances, the powers that be looked the other way and most likely even encouraged it. Like I wrote at the beginning of this post, the older I get the more I wonder why people with so much always seem to want more. 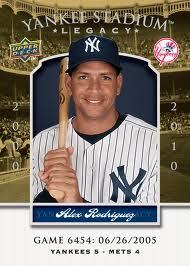 As A-Rod celebrates his 40th birthday he remains perhaps one of professional sports’ all-time enigmas. I don’t think any one, including his family and friends can say with any certainty what to expect from this pharmaceutically enhanced superstar in the way of personal behavior over the next year. And even the most astute observers of baseball did not predict the reemergence of offensive skills he’s displayed during the first half of the 2015 season after sitting out all of last year on his infamous suspension. 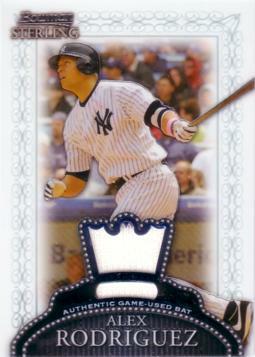 I did not become a fan of A-Rod the player until 2007, when two things happened simultaneously. First, he had the most incredible year on the field of any Yankee I’ve ever seen play the game. Secondly, it seemed as if he learned how to say “no comment” whenever the New York media asked him questions that were not about his play on the field. Then, A-Rod and his agent, Scott Boras orchestrated that tasteless and clueless announcement during the 2007 World Series that A-Rod was opting out of his Yankee contract. Even though the move did end up making millions more Yankee dollars for Rodriguez, it was a public relations disaster for him at the same time. By the time 2008 rolled around, A-Rod was still saying no comment to the reporters but the papparazzi photos of his extra marital actions started speaking a lot louder than his words. With the Yankees struggling with injuries under then new manager, Joe Girardi, the sports pages of the New York tabloids were filled with photos of Rodriguez in night time action. Unfortunately, none of those photos showed A-Rod with a baseball uniform on. Then during the spring of 2009 we learned that A-Rod did take steroids. So in the space of just two and a half pinstripe seasons, Rodriguez’s actions verified his greed, his marital infidelity and his cheating on the field, a sort of modern day ballplayer’s triple crown. But then came the Yankees’ glorious ’09 post season run, with Alex leading the way with some of the most impressive clutch hitting I’ve seen during my fifty years as an avid fan of MLB. He had reversed his reputation as a perennial goat of October, captured his elusive World Championship ring and gained the somewhat begrudging adoration of Big Apple fans all at the same time. It seemed too good to be true and as we now know, it was. The following year we learned that Rodriguez visited, Dr Anthony Galea, the convicted Canadian “blood doctor” without telling the Yankee front-office. Then came the Biogenesis scandal and I have to admit, once he was suspended and admitted using steroids yet again, I thought we’d seen the last of A-Rod in pinstripes. Then like a bad dream sometime does, he returned and the Yankee front office that did everything possible to discourage him from doing so did nothing to prevent him from doing so. Now Steinbrenner, Cashman et. al. are actually praising his play again. Proves once again that the business of Major League Baseball is all about what did you do for me lately. Ironically, A-Rod who has stopped talking about himself shares his birthday with another Yankee who never could. 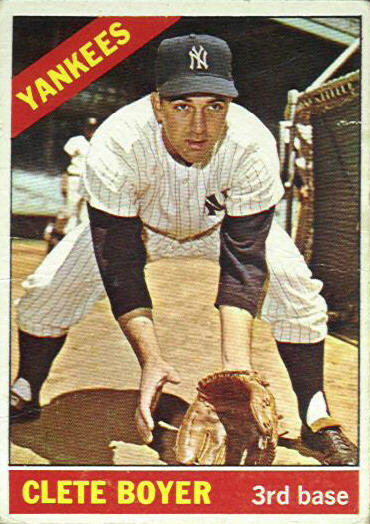 This utility-infielder and this Yankee starting pitcher from the 1950’s were also born on July 27th.